Whether they plan to make a feature film themselves or just use the experienced animation studios behind the Alice films to generate better content for gaming is still not confirmed. 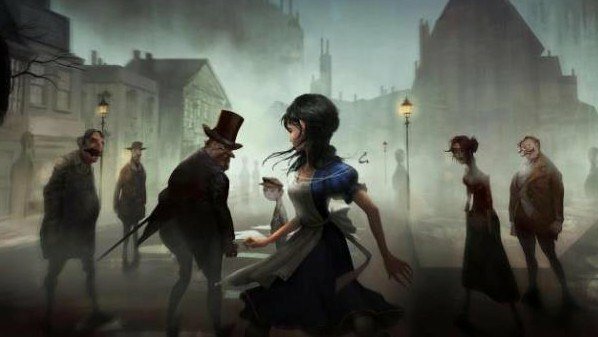 American McGee is, nevertheless, all set to buy back the filming rights for Alice from its current rights owner Collision. It was conveyed by the Director of American McGee’s Alice and the head of developer Spicy Horse through an update on their Kickstarter blog regarding OZombie that the company will be aiming to raise $500,000 from Kickstarter. In an effort to raise easy money, the already running Kickstarter campaign of OZombie will be tied with the fundraising for Alice film rights. According to their contract, Spicy Horse will be paying $100,000 installments to Collision each year with the first installment due upfront. In return of the first installment, would secure the option to rights towards Spicy Horse along with the rights to produce animated short films –the full control will be transferred after all the dues are paid giving them the license to make feature films. The aforementioned blogpost clarifies that buying the film rights does not mean that Spicy Horse is aiming to make a feature film themselves rather they are aiming at control of the film rights just to maintain the same quality of content as there was in the film by virtue of more experienced writers, producers, directors and animation studios. The Kickstarter campaign for the game OZombie is aimed at raising $950,000 in total of which more than $123000 has been raised so far. As far as the filming rights of Alice are concerned all the money raised in addition to the target will be used for the first installment while the over and above could go towards making short animation films or the future payments. After being transferred to multiple hands in the past, the filming rights will finally come back to McGee if all the payments are made –missing a payment calls the deal off. Kickstarter really gets thing going for some!